Technology and SaaS companies, routinely confront these typical questions: Do we need social media? How do we introduce our new service? What can we do to position and publicize our acquisitions? How do we introduce our new product? How will our market share rise? These are five commonly asked questions that require marketing and communications expertise. Before we go through the 6 most important steps of you marketing communications (marcomm) plan, it's worthwhile putting the plan into perspective. Your marcomm plan should be derived from preceding plans you've established. 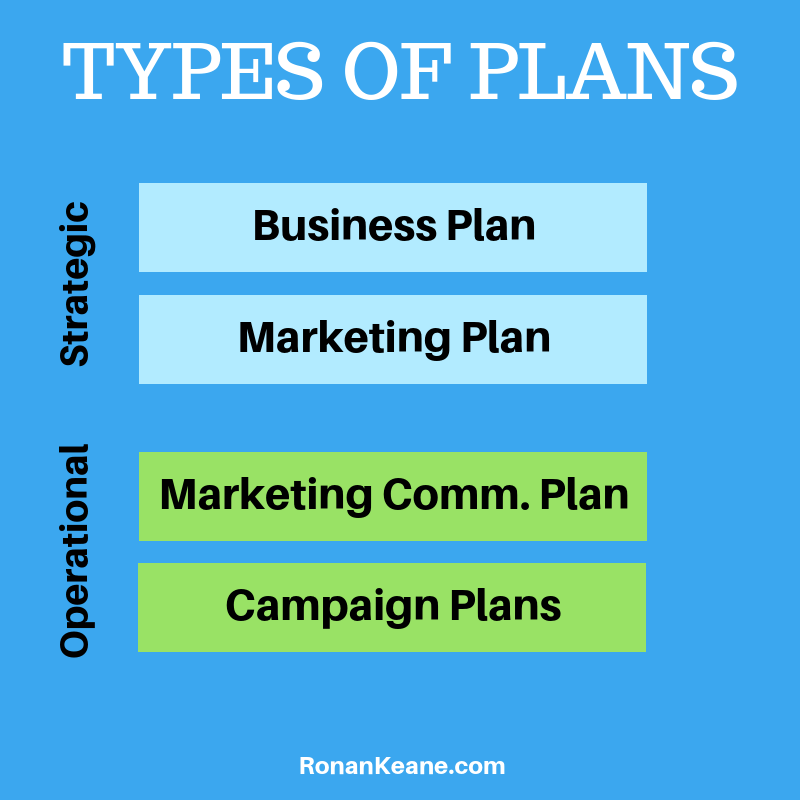 Whether it's a strategic plan, a business plan, a marketing plan or a marketing communications strategy, their design requires systematic, step-by-step development that takes into account elements of all the other types of plans. The activities of your technology or SaaS company should start with a business plan, leading to a marketing plan, followed by a marketing communications plan and campaign plans (digital advertising, events, lead generation etc). The business plan sets out the objectives for the entire organization according to a specific time frame. Those objectives are quantitative as well as qualitative. For you to bring the business plan to fruition, multiple execution plans are described for sectors such as finance, human resources, marketing and innovation. The marketing plan contains marketing goals and the strategy to achieve these goals, as in gaining market share, number of products and distribution channels. The marketing plan is the starting point for the marketing communications plan to determine how and with what tools and resources will marketing goals be achieved. Finally, the campaign plans describe how to communicate with various interest groups/stakeholders and generate awareness, interest and demand. The first two plans in the hierarchy graphic above are strategically oriented, while the last two have an operational perspective. The strategic planning captures the implementation of overall direction. An operationally oriented planning strategy makes it distinct. An operational plan is a normative plan to achieve the results you're looking for. A strategic plan has a much broader horizon than the other ones. A business plan lasts for perhaps 3 years, a marketing plan for 1-2 years and a marketing communications plan is only for the coming year. Campaign plans are usually very flexible and should be, you might say, they're made to be broken. In other words, you need a big element of agile marketing to run effective marketing campaigns. Now let's get to the marketing communications plan and the steps you need to follow. What message do you want to communicate to your audience? What do you want your audience to know about your company? What’s your brand’s mission and purpose? These questions can leave marketers grasping at straws. If you can’t answer them clearly, though, your marketing communications plan is bound to go off the rails. The first step in your marketing communication planning process is reminding your team of your mission statement. Your mission statement is the end goal that your company wants to fulfill for your customers. American Express: We work hard every day to make American Express the world's most respected service brand. Workday: To put people at the center of enterprise software. Tesla: To accelerate the world's transition to sustainable energy. Our company exists to provide [benefit], [benefit] and [benefit] through [product/service]. The next step in your process is to identify your business objectives. Business objectives are goals your company needs to hit to be successful. Every goal your team sets needs to contribute back to these objectives. If you’re unaware of what you’re aiming for, you’ll miss every time. The next step is to define your target buyers. You should document who they are, what their problem is that your service or product solves and other demographic and psychographic information. Before you start developing your buyer personas, you need to identify your target audience. Your target audience is the group of people who are most likely to purchase your product or service. Survey current customers to learn more about them. Try using tools like SurveyMonkey or Google Forms to gather data from your audience. Ask demographic style questions to gather the information you are looking for. Dig into Google Analytics to learn more about who is currently visiting your website. Search through your competitors social media followers to see who they appear to be attracting (and compare that to your own followers). You should also list their interests including websites they visit, LinkedIn groups they're members of and trade magazines they read. Our target buyer is a CFO at a mid-size company with $100M in revenue in the cybersecurity industry who wants to work with one vendor so they can reduce costs. What is a unique selling proposition or USP? The key to developing a USP is to ignore the features and benefits that could apply to anyone, and instead focus on the one thing that makes your offer unique. Let’s take a look at an example of a USP. Casper is an online mattress retailer, and their USP is focused around one simple idea. Since their product is sold directly to the consumer, they can offer lower prices than what you would find if you went to a brick and mortar store. Unbeatable low cost sets them apart. We need to be very clear about what we are selling. This is to state the obvious but it is amazing how often a company’s products and services look grey – they are indistinguishable from those of the competition. We need customer value propositions. Building a customer value proposition is important within any marketing strategy. Working out what people value about the products and services that you are selling has to be one of the earliest considerations in a marketing plan. What can we offer the customer that they value? What can we offer that is better than the competition? How will we make money out of this? What would we say to a customer if confronted by the elevator test? In developing customer value propositions, most people make the mistake of overloading their offer, with the result that customers becomes confused. The fewer benefits in the CVP, the better, but they must pass the 3D test. They must be desirable for otherwise the product or service will not be in demand. The more desirable, the better. They must be different to benefits offered by other companies for if they are not, the offer will look very “samey”. They must be defensible in the sense you can prove, with good evidence, that your claims can be substantiated. Desirable, different and defensible. If you can build a customer value proposition that passes this 3D test, you will have an offer that is very distinctive indeed – a unique selling proposition. To claim a mental space in your target audience's mind, consistency and repetition are absolutely the keys. Figure out your theme, your positioning statement in 12 to 25 words, not including the company name. It's a declarative sentence. It states a benefit for why the buyer should care. It's your elevator pitch. When you do that, you'll have a strong theme for all your marketing campaigns. Do some research to differentiate your technology or SaaS brand from the competition. When you going through a positioning process, you could use a perceptual map to find out where the unclaimed space is. B2B positioning isn't easy, but it can be simple. If you're starting from scratch, is really as simple as identifying your buyer's most pressing problems, stack-rank them, then develop a positioning statement that addresses that problem. You can then determine whether it's unique or not. And if it's unique, you've hit the proverbial nail on the head. The trick is to have the good research on the customer problems to be able to do that quickly. This is where there's a real disconnect, at least in companies in B2B software and technology. Successful B2B messaging requires a ruthless focus on your ideal customer profile. As a final deliverable for your Sales and Marketing teams, you'll want a message matrix. You can use the completed messages as “copy blocks” wherever you need them: in marketing materials, in sales presentations, on social media, as well as on your website. This will not only save time, but will also ensure that you communicate consistently about your services and/or products. I'm going to be brief but concise in this section since I could write hundreds of blog posts dedicated to each one of these channels. If you're a technology or SaaS company then these are the marketing channels I'd focus on. Invest most of your budget here while tweaking and optimizing. I speak from a position of experience having spent 90% of my career focused on these channels. I've managed marketing budgets totaling $Ms and generated significant bottom line results having been an accountable demand generation expert in a front-line position within Sales and Marketing. These channels are where the rubber meets the road. It's where you finally start generating demand at scale. I've listed the channels below but there's also a strategy to making them work together in a cohesive and results-oriented way. Book a call with me if you have questions or would like to know more about effective marketing strategies and planning to increase revenue for your B2B technology or SaaS company.